Over the years we’ve looked at magnetic sail (magsail) concepts of various kinds and discussed whether a spacecraft could do such things as ‘riding’ the solar wind to high velocities, or use a stellar wind to brake against as it entered a destination solar system. But just how workable is the magsail? In a 2007 paper called “Theory of Space Magnetic Sail Some Common Mistakes and Electrostatic MagSail” now available on the arXiv site, Alexander Bolonkin argues that magsail concepts are unworkable because induced fields resulting from two-way interactions between the solar wind and the craft’s magsail disrupt the previously calculated effect. The first reports on the “Space Magnetic Sail” concept appeared more [than] 30 years ago. During the period since some hundreds of research and scientific works have been published, including hundreds of research report by professors at major famous universities. The author herein shows that all these works related to Space Magnetic Sail concept are technically incorrect because their authors did not take into consideration that solar wind impinging a MagSail magnetic field creates a particle magnetic field opposed to the MagSail field. In the incorrect works, the particle magnetic field is hundreds times stronger than a MagSail magnetic field. That means all the laborious and costly computations revealed in such technology discussions are useless: the impractical findings on sail thrust (drag), time of flight within the Solar System and speed of interstellar trips are essentially worthless working data! Is it possible that the corpus of work on magnetic sail concepts should be disregarded? The matter came up in comments here several times in the past year as we discussed neutral particle beam propulsion (to a magsail) and other aspects of using such principles. I had no answer to the Bolonkin question but fortunately was able to turn to Giovanni Vulpetti for clarification. A well-known figure in the astronautics community, Dr. Vulpetti is a plasma physicist with extensive experience in both magnetic sail and photon sail studies. 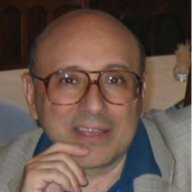 The author of over 100 papers and technical reports, and author and co-author respectively of Fast Solar Sailing, Astrodynamics of Special Sailcraft Trajectories (Springer (2012), and Solar Sails: A Novel Approach to Interplanetary Travel ( 2nd edition, Springer, 2015), Dr. Vulpetti was team coordinator for the Aurora Collaboration, which examined sail prospects in the 1990s. He has analyzed both solar and magnetic sail prospects exhaustively. Image: Plasma physicist and deep space propulsion analyst Giovanni Vulpetti. Dr. Vulpetti was kind enough to write an explanation of magnetic sail issues that includes background material on how the solar wind interacts with objects in space and examines the nature of plasma itself. He then analyzed Alexander Bolonkin’s objections to prior magsail studies and found them to be flawed. “[The] objection made by Bolonkin to ‘hundreds of researchers, professors at famous universities, audiences of specialists, . . .’ has no physical foundation, absolutely no basis,” was his conclusion, which was arrived at by a mathematical treatment that I had hoped to present in its entirety here on the main page of the site. Unfortunately, formatting issues were a problem. The material in Dr. Vulpetti’s essay, I discovered, would not be as readable if squeezed into the Centauri Dreams format than if left in the form of the original PDF file. With the permission of the author, I have uploaded the PDF so that interested readers of a technical bent can see it in its original form. You can click on the link to read “Notes about misinterpreting some plasma properties,” a file that includes the figures and equations that were a challenge to reproduce effectively here. Let me take this opportunity to thank Dr. Vulpetti for his efforts, which are deeply appreciated especially in light of his busy schedule. It’s interesting to note in the essay why he himself moved primarily to photon sail work after 1992, drawn in this direction by other issues with magnetic sail spacecraft that make solar sails a far more manageable proposition. Image: I have to run this photo that I took years ago in the Italian Alps in remembrance of a wonderful afternoon and subsequent banquet during the Aosta interstellar conference. 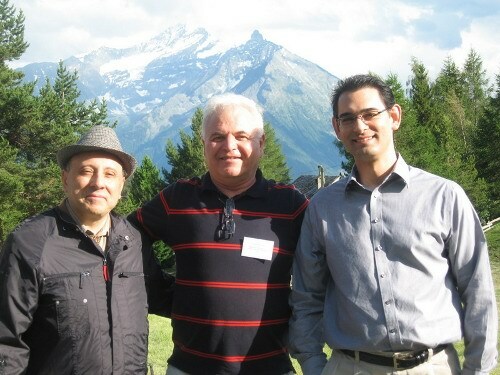 Dr. Vulpetti is at the left, with Roman Kezerashvili in the center and Justin Vazquez-Poritz at right. Didn’t Thomas Gold mistakenly state that solar sails couldn’t work either? I hope the Vupetti note puts the magsail won’t work idea to rest. One thing I found interesting in the Vulpetti note is that the fluctuations in the solar wind make navigating very difficult in space as the variable thrust makes trajectory calculations stochastic rather than deterministic. Is wind sailing on Earth so very different from solar wind sailing in space that ships can navigate on water oceans yet not reliably in space? Or is this a case where better tools that respond dynamically to the changing SW pressure ? higher than the ram pressure of the solar wind.” I was wondering does this three orders of magnitude remain advantage of photons over the ram pressure remain constant throughout the entire heliosphere or just in the inner solar system at one AU where the satellites are. I am thinking that the sunlight on Pluto is pretty feeble. Also can solar sails be modified to respond to both sunlight and solar wind? As a follow-up to Dr. Vulpetti’s excellent response, there are two areas where MagSails won’t work. In both these cases the radius of gyration of the incoming plasma can exceed the magnetopause radius and the bow shock can not form. The first is if a beamed plasma has either a velocity or density too high for the spacecraft MagSail dipole field, and the second is at speeds approaching c where the same condition can form. Good design should prevent this from ever happening. @geoffrey – I don’t think this can work. Adding SW to a light sail adds just 0.1% thrust. Conversely, a magsail has no obvious way to reflect light, even poorly. The technologies are so different with orders of magnitude different effective sail densities, that I don’t see how merging them will buy you anything. Now if you could make a very strong monopole and rotate it fast, I think you could generate a higher thrust that would allow velocities higher than he SW speed. Trying to do this with a magsail or electric sail would just tear the structure apart unfortunately. But even the monopole is subject to inverse square(?) laws making even this approach problematic. So for now we have to stick to light sails working with fairly steady photon intensity, or mag/electric sails working with the variable solar wind. If there were to be sail races, the latter types would be more exciting. It is great to see this impressive treatment by Dr. Vulpetti. When I asked for addressing the issue earlier, I had in mind a paragraph or two. This is a positive surprise beyond expectations. I do, however, recall seeing at least some papers in the field using the model of a static dipole magnetic field with individual charged particle trajectories to estimate the magnetic cross-section of a magnetic sail. Dr. Vulpetti’s treatment shows clearly that the magnetic field around a magnetic body in the solar wind is shaped by the plasma wind itself as much as the magnetic core it derives from, and any work that does not take this into account cannot be relied on to be accurate, or even approximately correct. Next post: Who Will Read the Encyclopedia Galactica?